The ESV Study Bible provides a helpful description of the historical and biblical context for this Sunday’s Creekstone message, which is part 2 in our series, Generation NEXT. Our focus passage will be Titus 2:11-14. 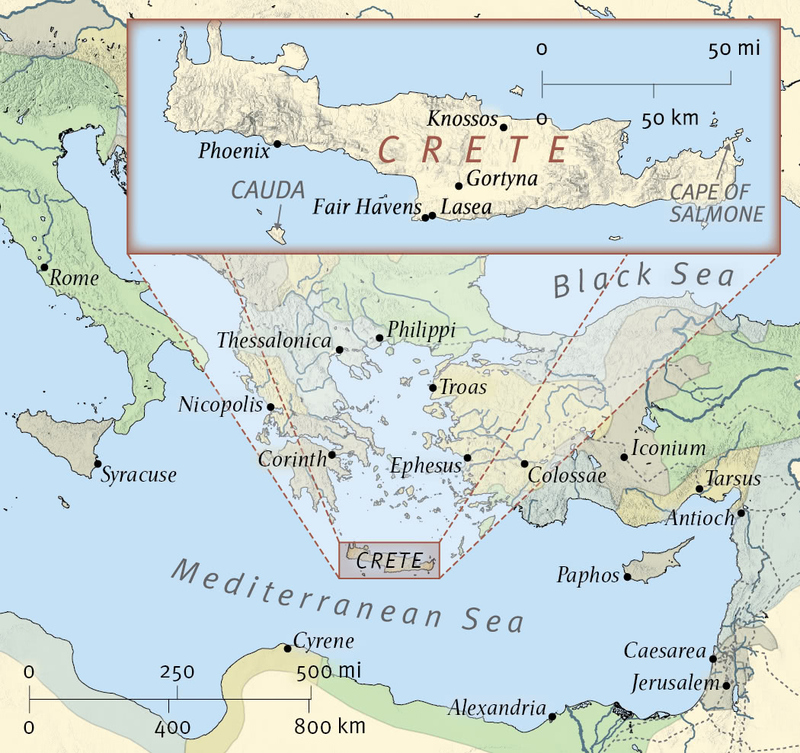 During a post-Acts missionary journey, Paul had visited the island of Crete, resulting in the establishment of new churches. In order to see that these churches were properly established (as was Paul’s typical pattern, see Acts 14:21–23), Paul left Titus in Crete. The existence of false teachers (Titus 1:10–16) amid the fledgling churches heightens the intensity of the situation. The false teachers appear to be the particular occasion for the writing of the letter. Discussion of the false teachers frames the heart of the letter. Furthermore, the description of elders (1:5–9) as well as the descriptions of proper Christian living (2:1–10; 3:1–3) appear to be worded for intentional contrast with these opponents. The content of the false teaching is not made explicit (as in 1 Timothy). There appears to be a significant Jewish element to the teaching since the opponents arise from “the circumcision party” (Titus 1:10), and are interested in “Jewish myths” (1:14) and perhaps ritual purity (1:15). Paul’s primary concern, however, is with the practical effect of the false teaching. In spite of their concern for ritual purity, the adherents of the false teaching did not live lives of godliness flowing out of the gospel but instead lived in a way that proved they did not know God (1:16). This false teaching, which in some way allowed for ungodliness, would have found a welcome home in Crete, which was proverbial in the ancient world for immorality. But Paul expected the gospel, even in Crete, to produce real godliness in everyday life. In dealing with the false teaching, Paul also provides Titus a portrait of a healthy church. He describes proper leadership (1:5–9), proper handling of error (1:10–16; 3:9–11), proper Christian living (esp. important for new believers in an immoral milieu; 2:1–10; 3:1–2), and the gospel as the source of godliness (2:11–14; 3:3–7). This final focus will be the meat of the message on Sunday as we discuss the significance of the gospel as the motivator for genuine godliness in our children (and in ourselves!). Sadly, many of us experience a “disconnect” between what we claim to believe and how we actually live. Why is this? What can be done about it? Exploring concepts such as indicatives and imperatives, we’ll dig into this super-practical, and I think helpful, subject on Sunday. Hope to see you there!